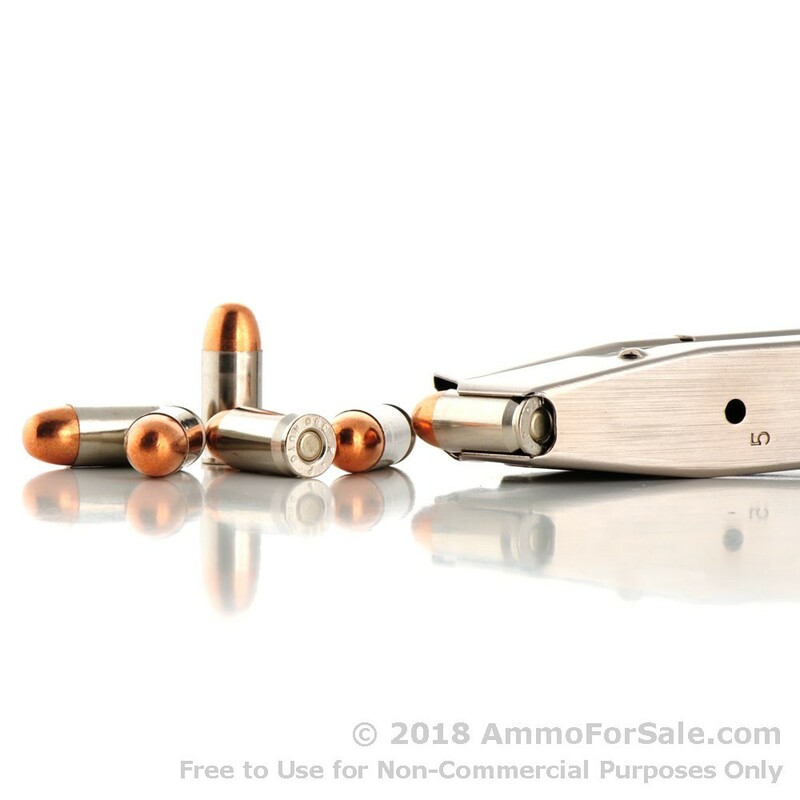 Pocket pistols are popular because they’re easy to conceal and lightweight, and many of them come chambered in .380 ACP. .380 ACP has been around for some time, having been originally created for use in early blowback pistols, which lacked a barrel locking mechanism. 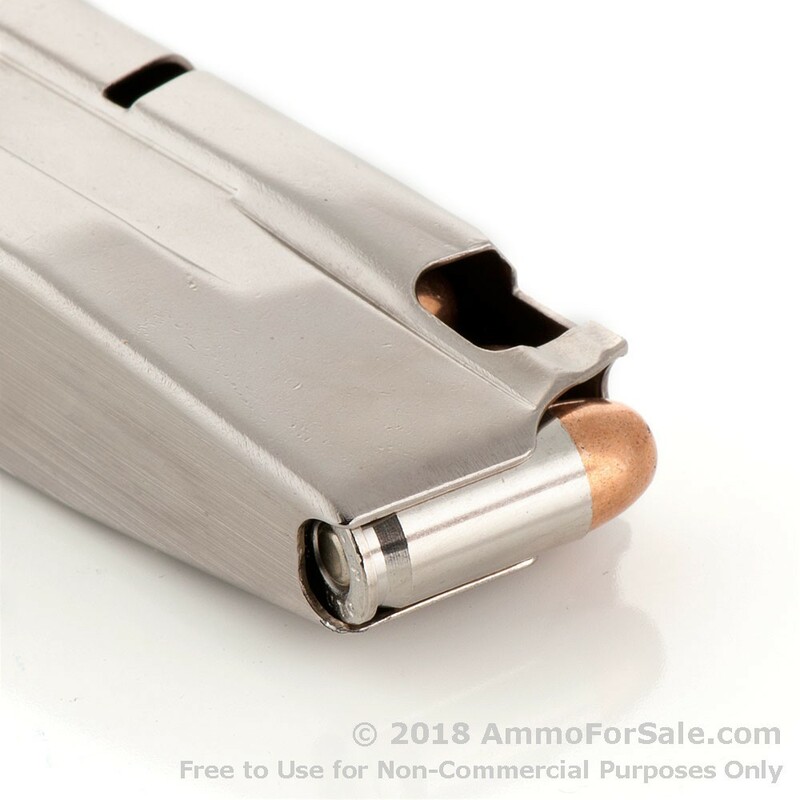 Most guns chambered in this cartridge have the barrel permanently fixed the frame, which is part of why they have such minimal recoil. But that and other factors also means they work best at close proximity, so when you train with your pocket pistol, you need to plan accordingly. Practice drills where you’d be taking aim at close-range as well as from longer distances so you can be accustomed to your guns strengths and weaknesses, but above all, practice. 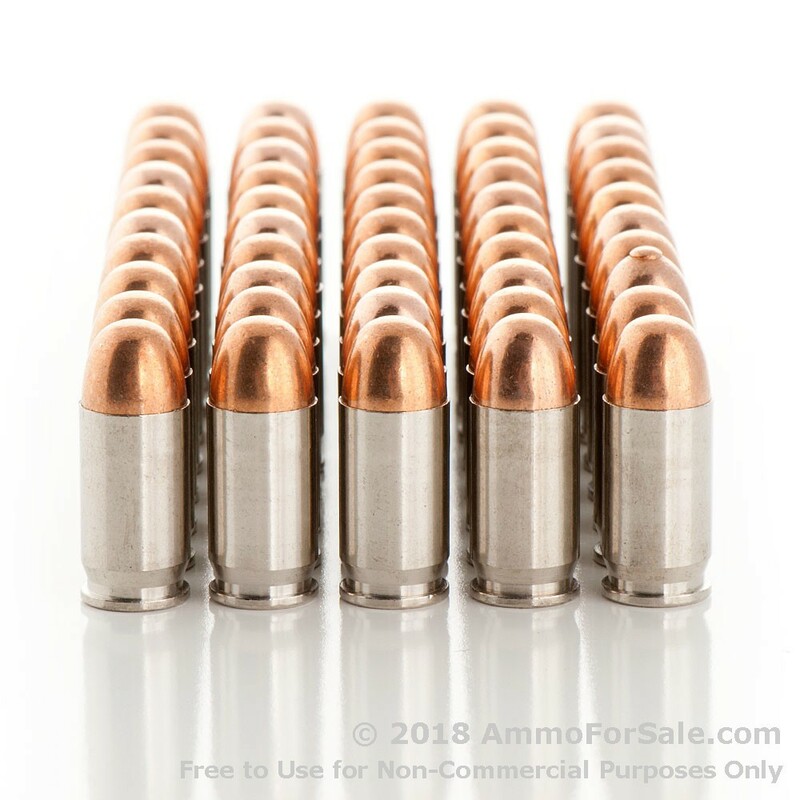 At 95 grain these are fairly lightweight rounds and fall in the standard range for the .380 ACP. These are MC rounds and so don’t expand or decelerate on impact. Target rounds in general are prone to over-penetration, so as with all ammunition, just be sure of your backstop. 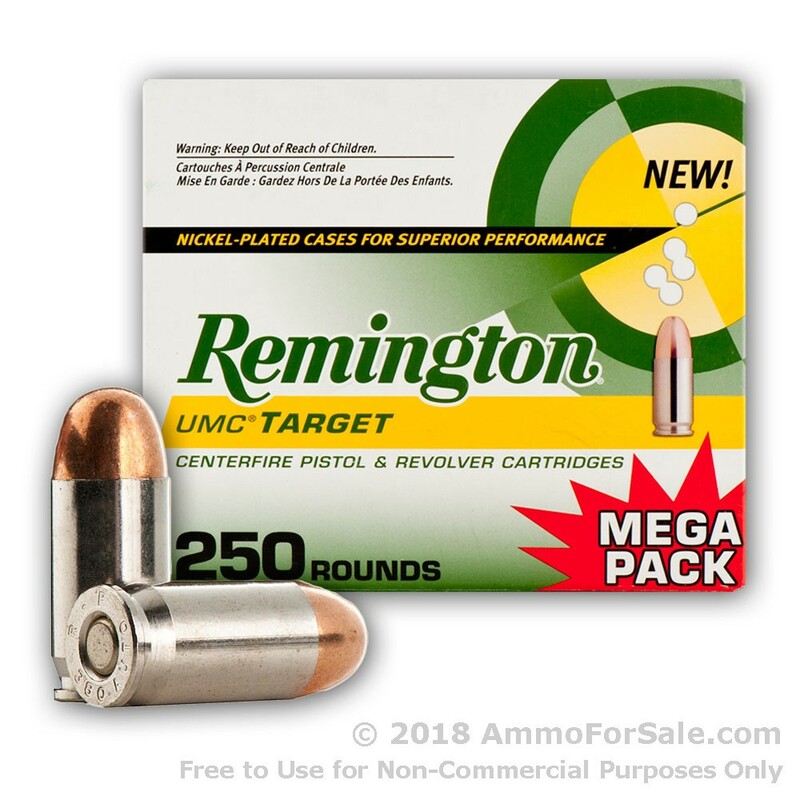 This ammunition is a nice choice for hitting the range for target practice, shooting drills, and plinking at your favorite outdoor spot. Each round moves down-range with a muzzle velocity of 955 feet per second and impacts with a muzzle energy of 190 foot-pounds. 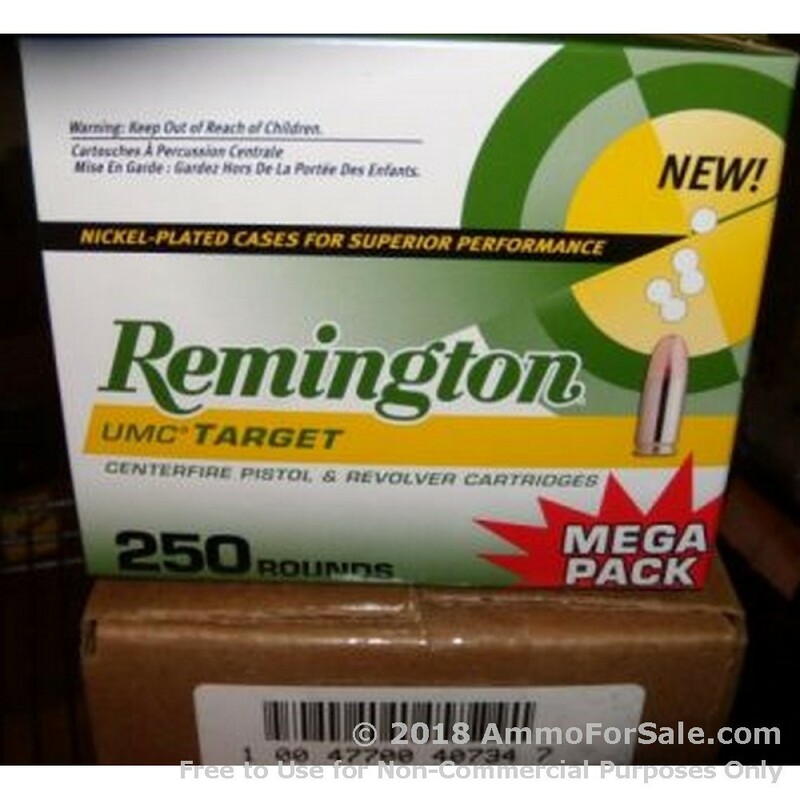 Remington manufactures these in fresh brass cases with boxer primer, so you can reload them. 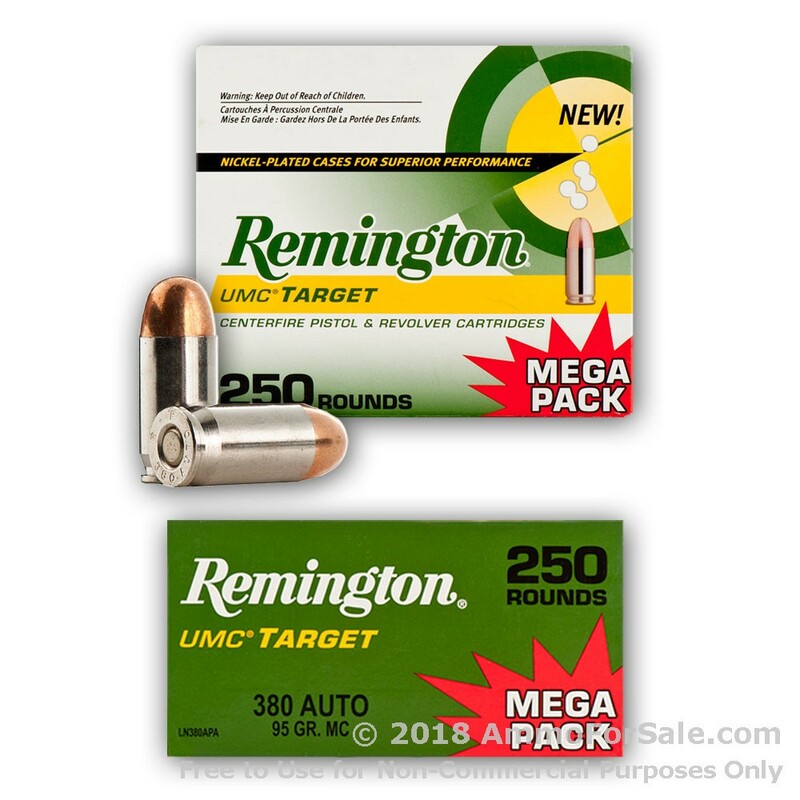 This is fantastic ammo that’s good for your gun – and good for you, since we all need practice. 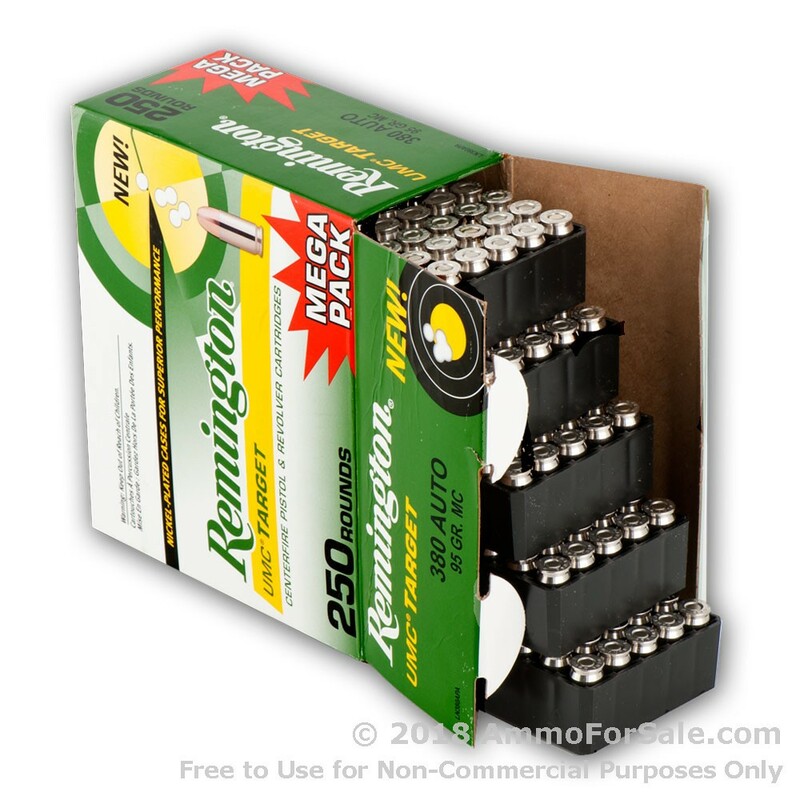 There are 250 target rounds in this box of ammunition from Remington. 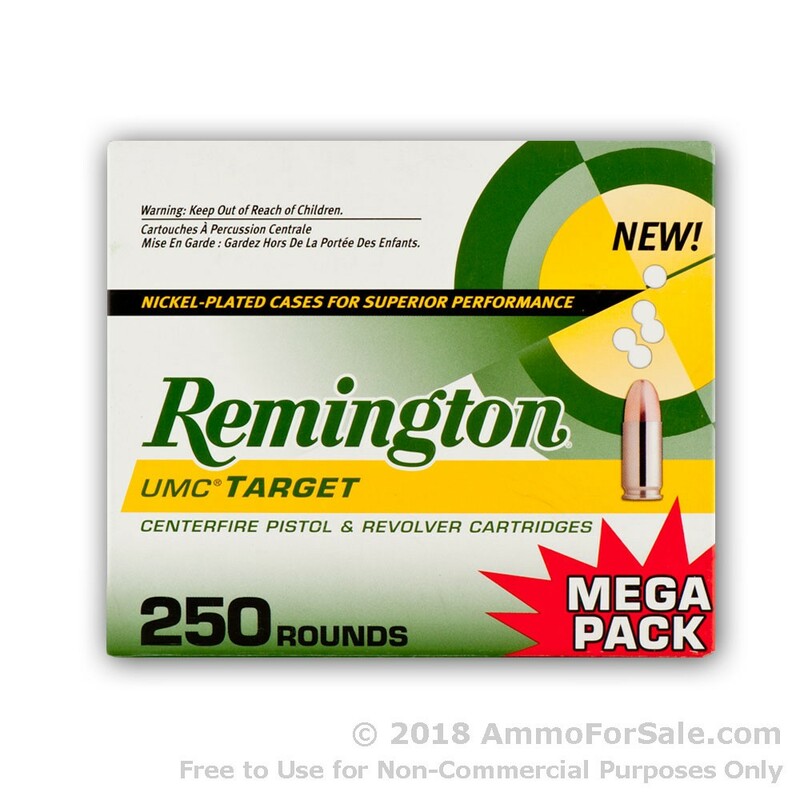 Remington was founded in 1816 and has spent two hundred years practicing their own craft of making ammunition and firearms, and they’ve done an excellent job. 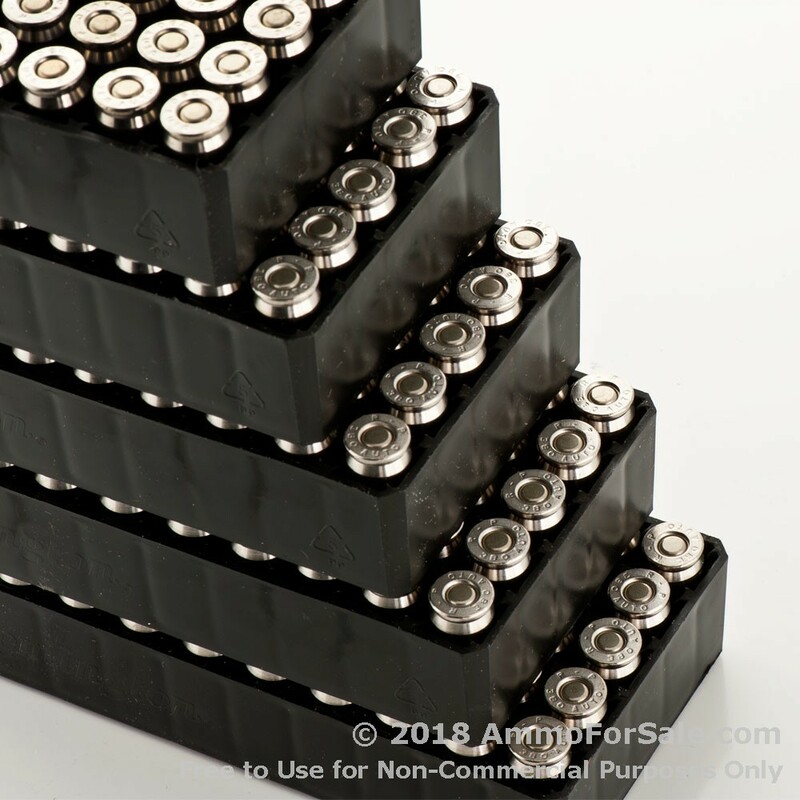 All their ammunition is now made at their plant in Lonoke, Arkansas, and meets SAAMI specifications, not to mention their own strict requirements. 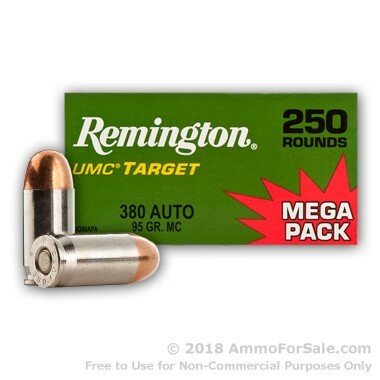 Remington takes guns and ammo seriously, and they take your ability to train and protect yourself even more seriously than that. Serious, dedicated shooters understand the need for extensive training not only to get the skills but to keep them, and those are skills you might need someday to save your life. 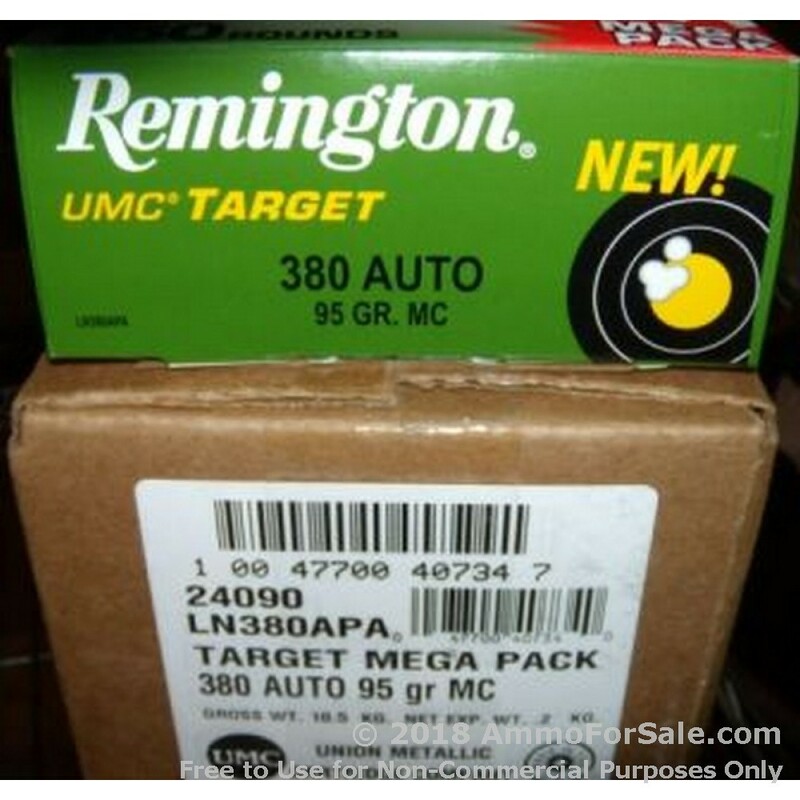 Remington’s supplying the high-quality target ammunition, all you have to do is buy it, and feed your 9mm.